Believe it or not, HER EVERY FEAR was my first read by Peter Swanson. Now, having read and loved this book, I’m kind of wondering why it took me so long to read him! HER EVERY FEAR completely surpassed my expectations. In fact, it also defied all my expectations—where I expected an action-packed, twisty-turny mystery, I instead discovered a character-driven story of quiet, steadily-building suspense. HER EVERY FEAR delves both deep into the minds of the story’s characters and deep into their pasts, weaving a web of manipulations and lies that left me with goosebumps by the story’s end. Kate Priddy has always dealt with anxiety, but following a personal tragedy, she begins experiencing full-blown panic attacks. When her Boston-based cousin reaches out and suggests that the two swap apartments for a while, Kate sets aside her apprehension and agrees—after all, a change might help her overcome her past. Kate leaves her London flat and heads to Boston, moving into her cousin’s stunning apartment. But the morning after she arrives in Boston, tragedy hits close to home yet again: her cousin’s neighbor is found dead, murdered in the apartment next door. Kate’s natural curiosity soon devolves into obsession, and sets in motion a series of events that will threaten Kate’s stability - and possibly her life. It’s been quite a while since I read a book that consumed my attention as wholly as did HER EVERY FEAR. 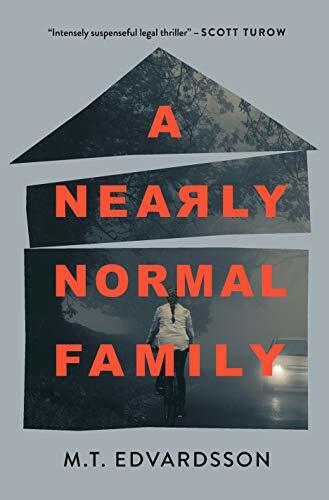 This psychological thriller surprised me in just about every way imaginable, from its plotting to its pacing to its structure, and my reading experience was infinitely better for these surprises. Perhaps the biggest surprise for me was that this book really isn’t that action-packed. I expected a story with in-your-face shocks and betrayals, but Swanson’s writing is much more subtle. This book packs a punch, but does so with finesse: Swanson carefully reveals information bit by bit, ratcheting up the story’s tension slowly but surely. And when the reader finally catches on to the culprit and motivation behind the murder… let me just say, my jaw hit the floor. I’ve seen many reviewers guess that Alfred Hitchcock would very likely want to direct a film adaptation of HER EVERY FEAR were he alive today, and I wholeheartedly agree. This story has a voyeuristic quality that reminded me of Rear Window. From her cousin’s apartment, living much like a recluse due to her anxiety, Kate becomes privy to the secrets of her cousin’s neighbor’s, and inserts herself into their lives—granted, not with any sinister intent, but with an obsessive desire to understand what happened to her cousin’s neighbor. At the same time that Kate is watching her neighbors, however, someone is watching her—someone with deadly intent and limitless determination. Last but certainly not least, the villain of this story is worth a mention. HER EVERY FEAR has a character at its heart whose ruthless will, utter lack of empathy, and manipulative prowess left me chilled. My favorite true-crime podcast, Sword & Scale, has a tagline that says: “the worst monsters are real.” That phrase kept popping into my head over and over as I learned more about the villain at the heart of HER EVERY FEAR. Now, this story’s bad guy might not seem this dramatically chilling to everyone—but personally, there’s nothing scarier than reading about a character who deftly manipulates those around him or her, using them to play out his or her darkest fantasies. I highly recommend HER EVERY FEAR for those looking to delve into a story of mind games and masterfully-plotted suspense. Secrets from the past, manipulations in the present, and a young woman wrapped up in a decades-old secret make HER EVERY FEAR an addictive and chilling read. If you do read this book, I only have one question for you once you’re done reading it: did it make you check under your bed? Many thanks to William Morrow for my review copy! All opinions are my own.